November 15, 2018 Blackbaud, Inc.
Community foundations are doing critical work to create change at the local level. They play a convening role in the community and engage community members in philanthropy to address pressing local issues. In this interview recorded live at bbcon 2018, Javier Alberto Soto, president & CEO of The Miami Foundation, talks about the important work the Foundation is doing to improve the quality of life in the Greater Miami area through philanthropy, community investment, and civic leadership. 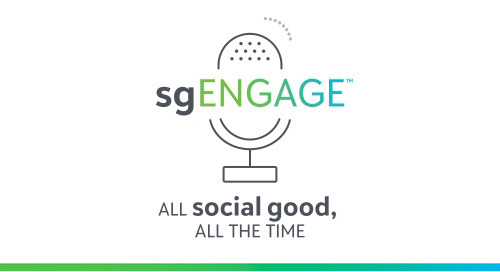 Listen to the episode to hear what Javier has to say about the role community foundations can play in advancing civic engagement, why community foundations can be effective conveners, and the role of technology in enabling mission delivery. "I think we've demonstrated the deep generosity that exists in Miami through new power." "We have the ability - because we're seen as an independent actor whose only agenda is to improve the community - to really empower people at a grassroots level." "Miamians are from so many different places - it's such a diverse area - but when you get at those stories, particularly "how did you get here?" it's amazing how similar they are across geography." "We've invested significantly from day one in all of our communications tools, but with a deep emphasis on our technology first to support our fund holders." "At the core of everything we've been doing is injecting new power, or civic engagement." "I think all of us in the community foundation world are grappling with how we define impact beyond asset size."